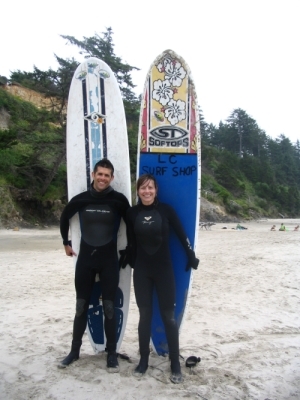 Take lessons from Northwest champion professional surfer Mike Jipp and his staff. Mike has been in the business a long time, has the trophies that reflect his expertise and he wants you to enjoy surfing as much as he does. Mike Jipp is an expert longboarder and a exceptional shortboarder as well. Whether you want to learn the basics or get help with improving or advancing your surfing techniques Mike can help you. You can learn to nose ride, hang 5 or ten and even do 360's on the nose of the longboard. You'll be fitted for a wetsuit and board and all the other necessary extras that go along with the surfing experience - booties, hood. 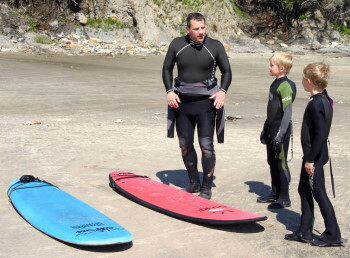 With expert advice from Mike you will learn how to wax your board, find a wave and begin riding waves into shore. You learn at your own pace - so you can enjoy the whole experience. Group classes are a great time for kids and adults. Whether it is your whole family or all the kids from your local club, this is a great outdoor activity. 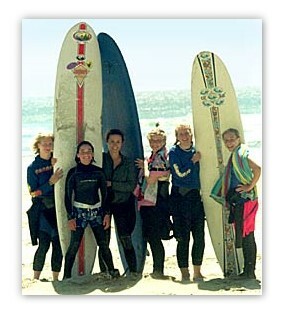 Rates are the lowest on the coast and the lesson cost always includes your wetsuit, booties, etc. The only thing missing is you!